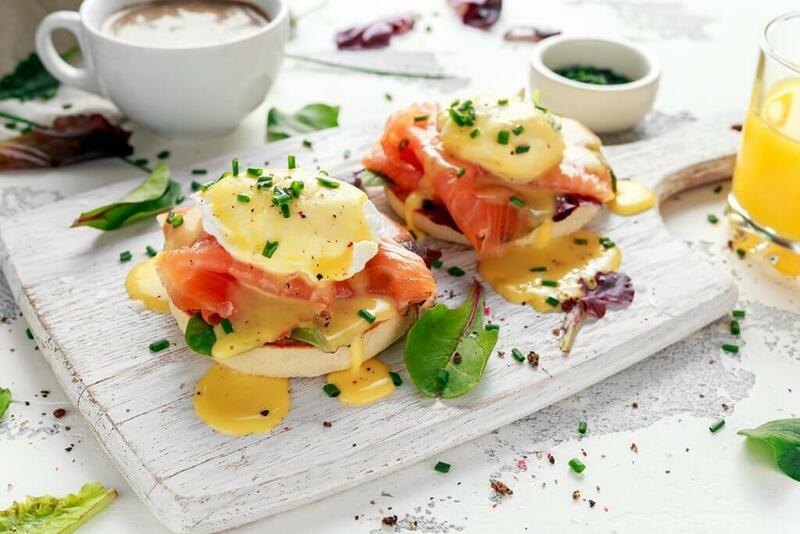 Is there anything better than a weekend brunch with friends or family? It is the culinary equivalent of a breath of fresh air, a leisurely and delicious repose tucked in between the work weeks. Luckily, there are abundant options for brunch in both Parker and Castle Rock. Whatever your preference—diner style, elegant, farm-to-table, or the latest in experimental cooking—we’ve got just the thing. Bring on the mimosas. Stone Gate Cafe is considered a go-to local spot in Parker. Sip a coffee while you take your time scanning their extensive menu which includes a variety of meat and egg dishes, paninis, burgers, sweet breakfast dishes, and even some Greek entrees. True to the brunch concept, the cafe offers anything you could want for breakfast, lunch, or even a mid-morning snack paired with fresh juice. How about spending your morning enjoying classic French pastries? Enjoy a tasty tour of France right here in Parker at La Baguette de Normandy. They serve a full breakfast and lunch menu of French cuisine as well as a wide array of freshly-baked pastries such as petit fours, crepes, breads, tarts, and even king cake. All of this is served alongside fresh, delicious coffee. No need to choose; just get one of everything! For an upscale and refined brunch experience, try Parker Garage. Start with the classic Mimosa or Bloody Mary (or one of their elegant cocktails) as you peruse a sophisticated menu. Entree choices include such tasty choices as the roasted beet salad, the smoked salmon benedict, and blueberry banana french toast. Sit back, relax, and enjoy a meal that is equivalent to a weekend get-away. With a full breakfast menu served all day and freshly-roasted coffee available anytime, the C&C Coffee Kitchen is a huge hit in Castle Rock. Brunch options include a variety of creative bowls, huevos rancheros, egg and sweet breakfast dishes. Prefer lunch? Try one of their Korean fusion specialities, perhaps with a fresh, organic smoothie. Voted one of the best restaurants in Castle Rock, MIYO Cafe puts customers in charge of their culinary experience: MIYO = Make It Your Own. Don’t worry! The experience is still relaxing and fun; they simply let you combine any variety of main and side items that you want, in order to let you have full flexibility in choosing your brunch. Enjoy pastries, egg dishes, and any combination of breakfast and lunch. Enjoy an elegant dining experience at Siena at the Courtyard. They offer an exciting number of weekly events so that you don’t have to wait for the weekend to indulge. The lunch menu is extensive; combine it with your favorite cocktail in late morning and enjoy a leisurely brunch. Try the steamed mussels, siena dip, the fig and spinach salad, and much more. We hope these tasty options hit the spot, whether you’re relaxing with the newspaper, catching up with friends, or taking the family out for a treat. Cheers to the weekend! These brunch spots are only the tip of the iceberg when it comes to local dining options. Pradera residents enjoy close and convenient access to all that Parker and Castle Rock have to offer, in addition to their own neighborhood amenities. This is the good life!